Tangle Creations Tangle Jr. Fuzzy: This multi-colored fuzzy version of the classic Tangle toy feels so good you won't want to put it down. It's a fuzzy fun way to relieve your stress. Instead of doodling, work the Tangle Fuzzies into endless shapes while you chat away on the phone or listen to a conference call. Buy several and connect them to make a long fuzzy Tangle snake. Touch It Twist It Turn It The Tangle Jr. fits right in the palm of your hand. This junior sized Tangle Fuzzy has fun colors that add to great play value as well as an educational toy or puzzle. Tangle Jr. provides individuals of all ages the fun and enjoyment of fine-motor manipulation along with the therapeutic benefits of control, dexterity, concentration and focus, and problem solving. 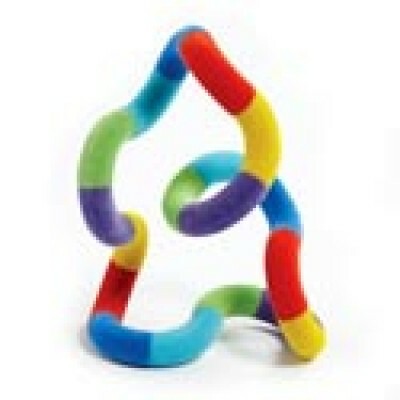 Low impact activities like Tangle also relieves stress through the easy twisting and turning motions. Segments have a different fuzzy like texture surface to add a new sensory element to the fun. Tangle is comprised of a patented system of rotating interconnecting links. It can be twisted, turned, bent, coiled, and shaped into a myriad of your own creative visions. 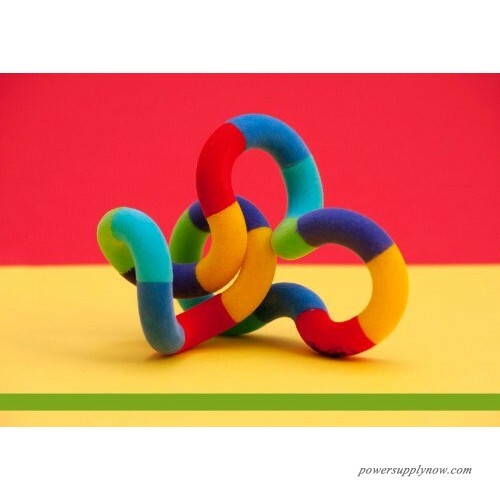 The possibilities are endless on what you can do with your Tangle.